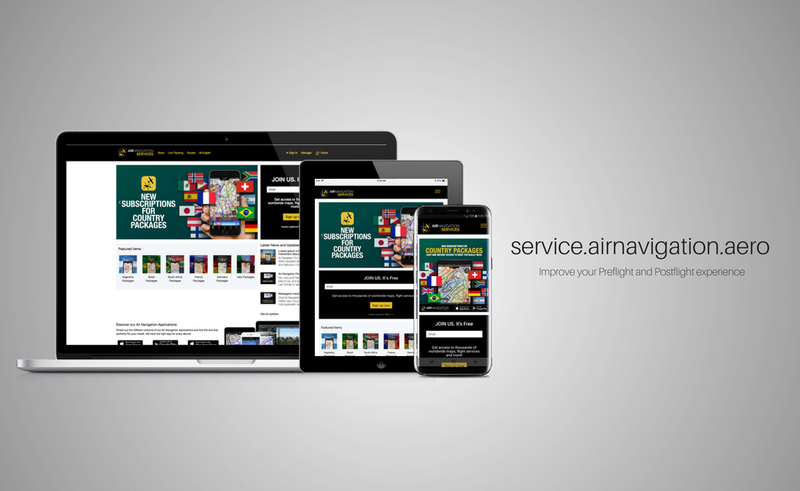 If you're wondering about what we’ve been working on, we’re happy to announce that the new Services site is ready! We love everything about the new site and we’re sure that you’ll enjoy the new look and feel. 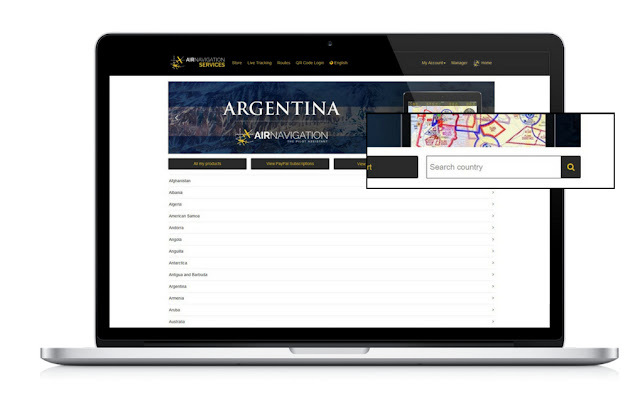 We made sure to make it as seamless as possible with all the information you need easily accessible with this updated interface. Are you ready to find out what’s in store for you? Let’s dive right in! When you enter the site, a slider displays all the most up to date news and features available. 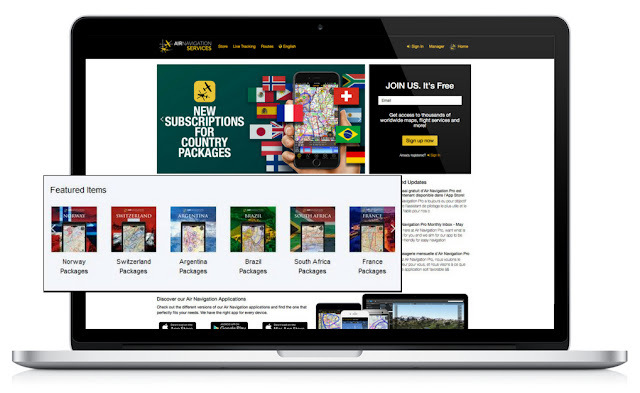 Just below the slider, featured items such as the latest country packages that are available. For new comers, the Sign Up section is displayed on the upper right side corner when you’re on your desktop and just below the slider if you're on your tablet or mobile. 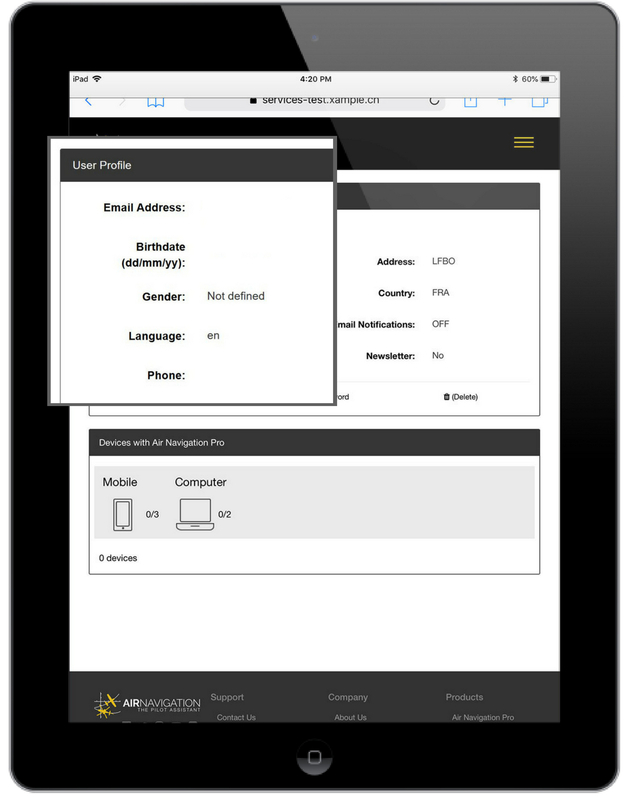 Account holders can easily get access to their accounts by just tapping on the Sign in text displayed below the Sign up section. 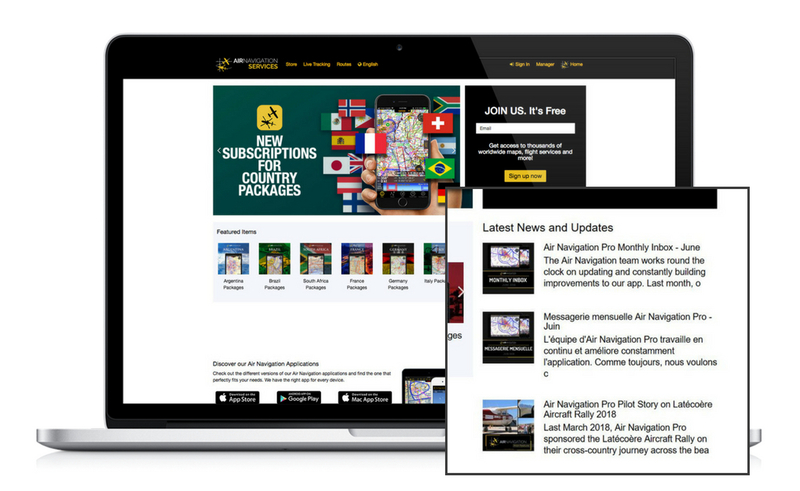 Learn about the latest Air Navigation Pro charts and map updates in this section or dig into some of our most enjoyable articles featuring aviation leaders and industry news. You’ll find it just below the Featured Items list on the tablet or mobile and on the lower right side for desktop users. 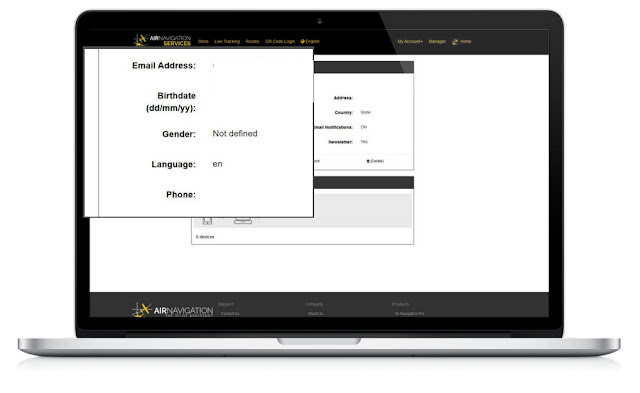 When you sign up as a new user, you’ll need to fill in required user details like a username, email, age, gender, language and phone which can be edited anytime. With the new services site, it’s easier to remove and add devices. You can register multiple devices with an Air Navigation Pro services account that you can use on your flights. 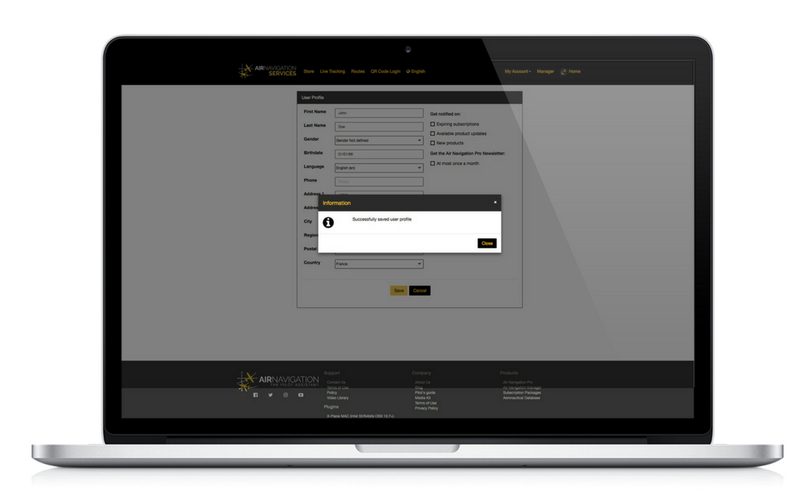 We’ve made some adjustments to make sure that your experience is as easy as possible. 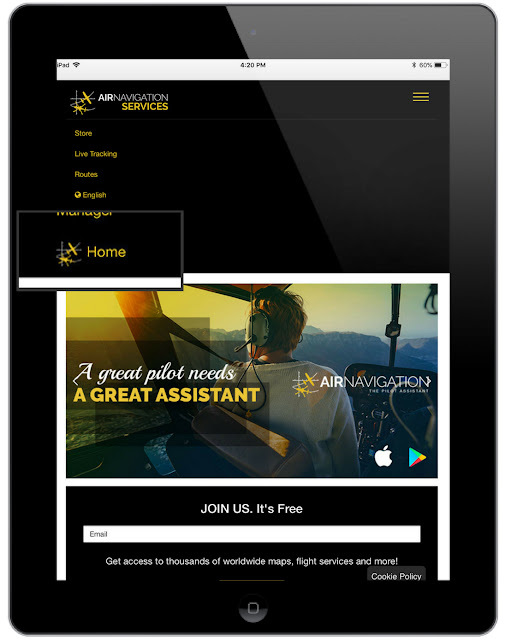 The new header displays the important aspects that pilots use on a regular basis. 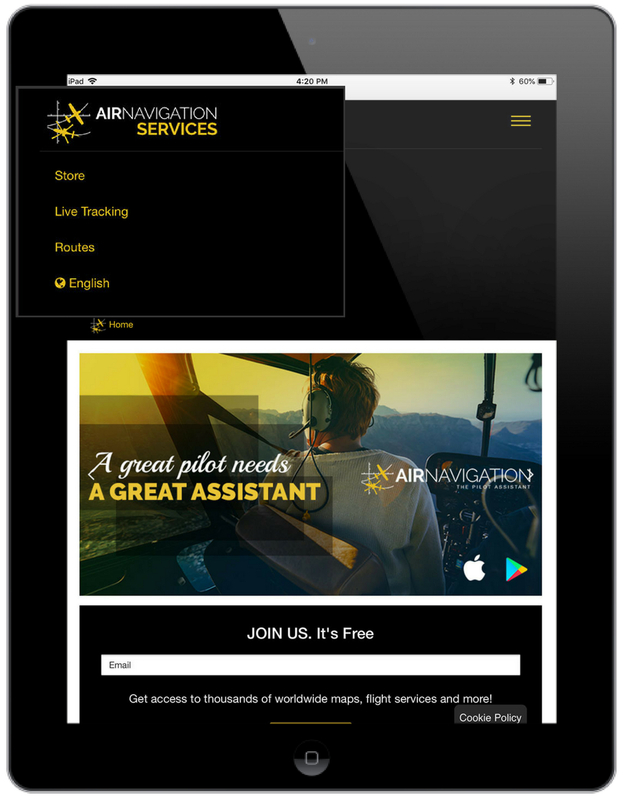 This includes the store, live tracking, routes, and an extended menu for the rest of the Air Navigation Pro ecosystem. 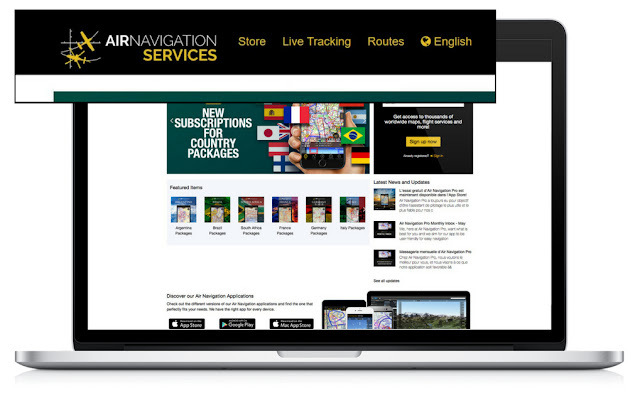 Shopping for maps, charts and other Air Navigation Pro tools is made easier with the Store Search Function. We’ve been getting a lot of requests for this feature and we’re happy to announce that this has been implemented. Searching for maps and charts will now be easy as searching for your next flying destination. 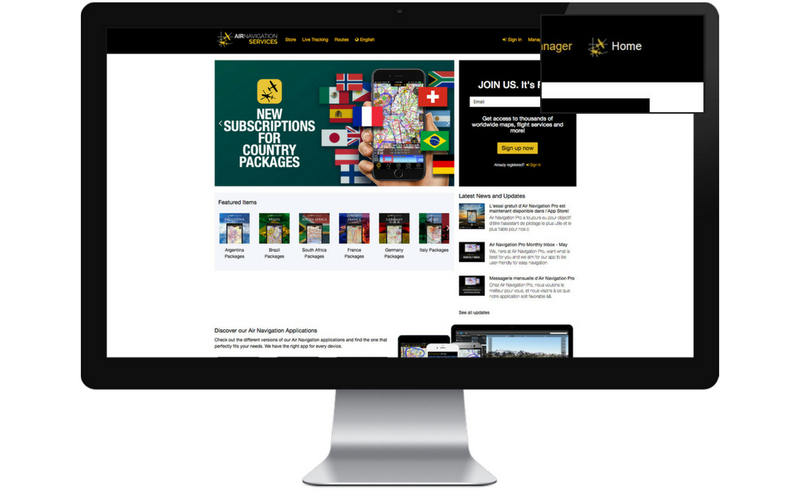 We've redesigned the Store to make it easier for you to get the package you want with the inclusions. You can click on 'More Information' if you want more details regarding the inclusions. 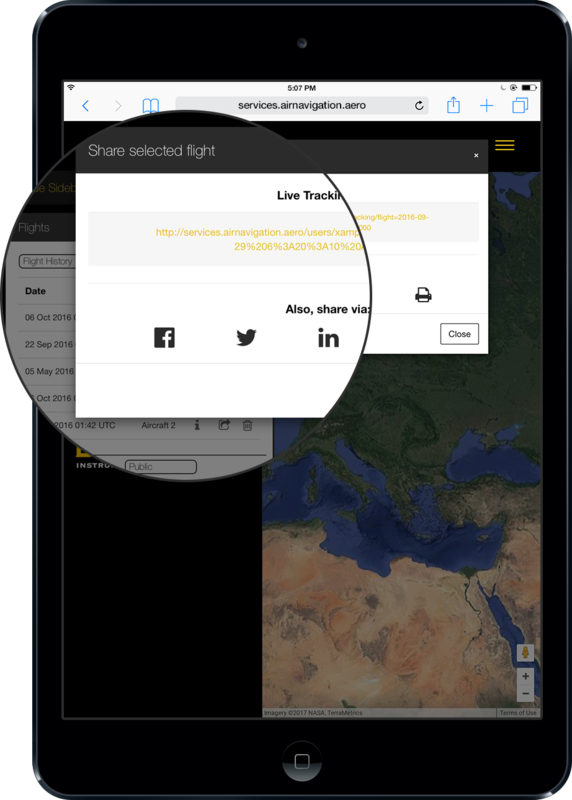 It's also easier to purchase products individually, which is perfect for cross-country flights! 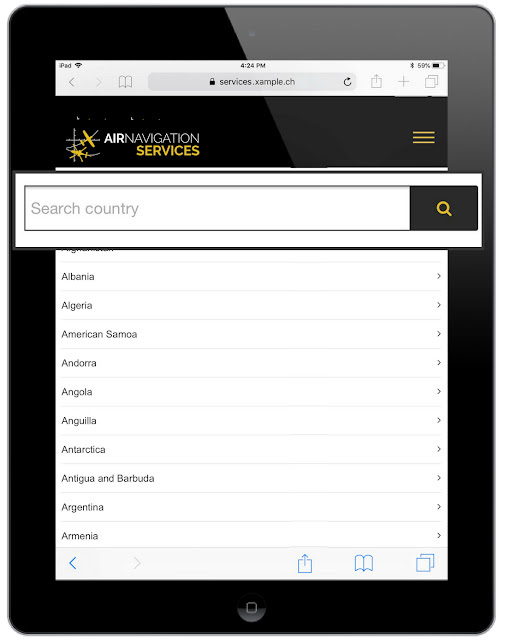 Just use the search bar to search for the country, then the individual products with appear below the search. 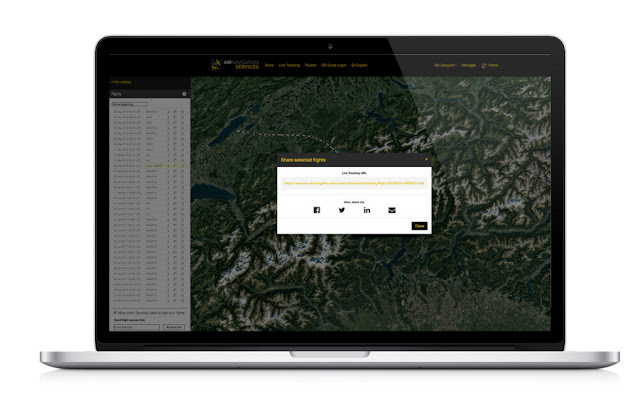 Want to send updates to friends and family? Well, now there’s a better way to keep them updated. You can share your flight details after landing with options to share via the social media buttons (Facebook, Twitter or LinkedIn) or send thru email. If you have questions about the features and want to know more about Air Navigation Pro? Or are you planning on visiting another country and you wanna see our other country packages? We've created the Home button for that exact reason to make it easier for you to navigate. Just click on the Home button and it will route you to our Air Navigation Pro website. The beautiful revamped services site design now comes with a QR code login (iOS only) that can be especially handy when you’re in a rush or multi tasking. 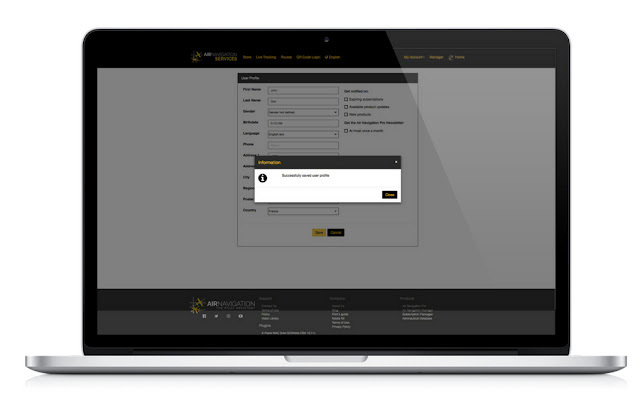 It also gives you access to your Manager accounts with just one touch of a button! We hope you'll love this updated look. Let us know if there's anything that we can improve to make your Air Navigation Pro experience a real treat! 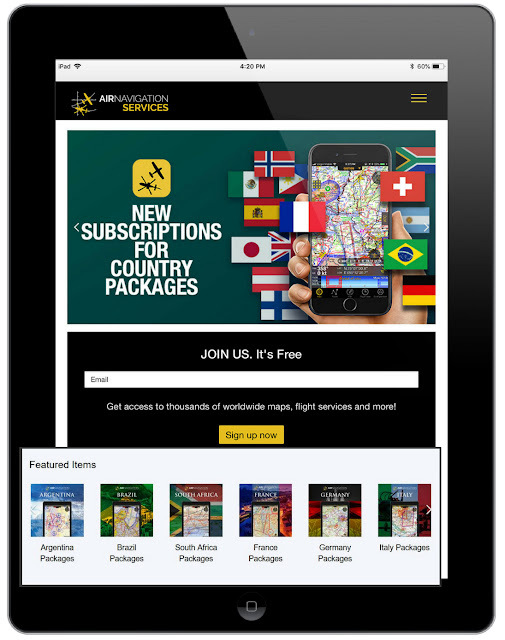 Air Navigation Pro Offers The Standard Worldwide Package!